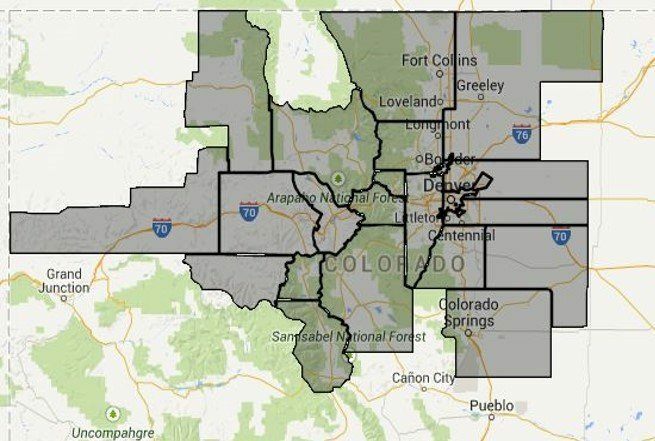 Greater Denver Metro, Fort Collins, Colorado Springs, Pueblo, Boulder, Buena Vista/Salida, and Vail/Summit County areas. We currently only provide residential appraisals to the Denver Metro area. On a case-by-case basis, we provide appraisal solutions to all locations throughout Colorado. We currently have offices in Denver and Buena Vista. Our general range of coverage is below. The best way to understand if we can provide services for your property is to submit a no obligation pricing request.